A blog (an abridgment of the term web log) is a website, usually maintained by an individual, with regular entries of commentary, descriptions of events, or other material such as graphics or video. Entries are commonly displayed in reverse chronological order. “Blog” can also be used as a verb, meaning to maintain or add content to a blog (From Wikipedia). 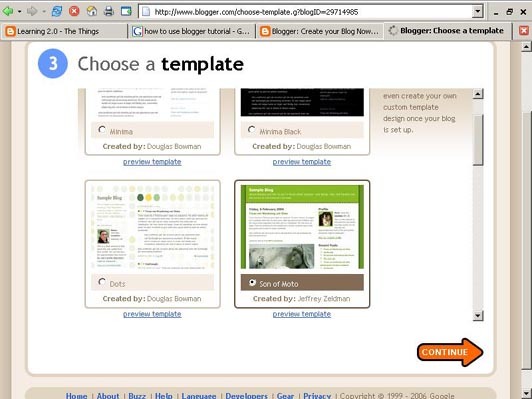 Watch this video – Video: Blogs in Plain English – a great introduction from Common Craft. blogging about what you’ve seen or done is a way of incorporating reflective practice into your professional life. blogging about events will help you remember them more clearly in the future, and that’s useful for job applications and when working towards qualifications. by sharing your ideas and knowledge you’ll get to meet new people and develop a wider professional network. Blogging for personal reasons might be considered vain (“the world needs to hear what I think”), or conversely there might be a fear that someone might actually read what is written (“what if I say something wrong/stupid/dull?”). most often there’s an view that there is nothing to say (“i’ve got nothing to write about”). These are all very common viewpoints, but what outweighs them is the value that can be gained through the process of reflection. There are various blogging platforms available online. Some of the most commonly used are Blogger, WordPress, Tumblr, and Posterous. You’re welcome to use any blogging platform that you like, but we’re giving instructions here for Blogger, because it’s quite easy to use. Select your template (view screenshot). 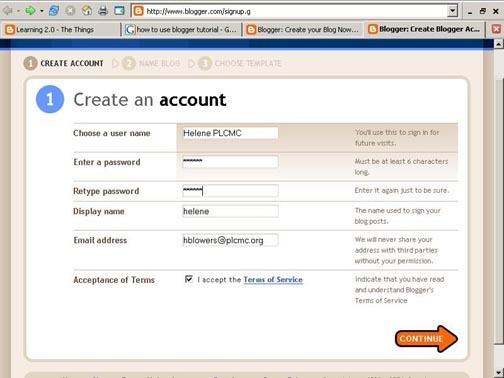 To add posts: You will need to sign into Blogger each time you want to add, edit or configure your blog. Be sure to write down your login and password. 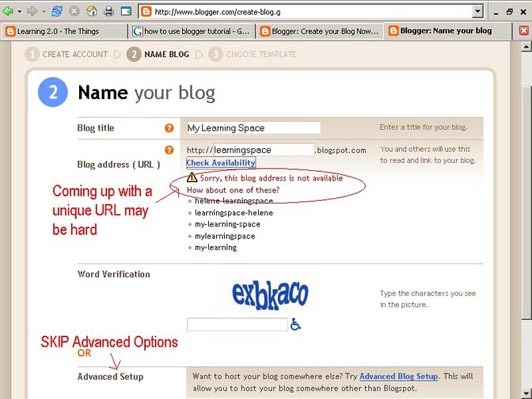 To view your blog: Your blog address is http://(xxxx).blogspot.com, (xxxx)=the unique identifier you entered in Step 2. Be sure to also write down your blog address.